Completed in 1917, Cobblestone Bridge is the oldest of Rockefeller's carriage-road bridges, and it is the only bridge made completely with cobblestones. 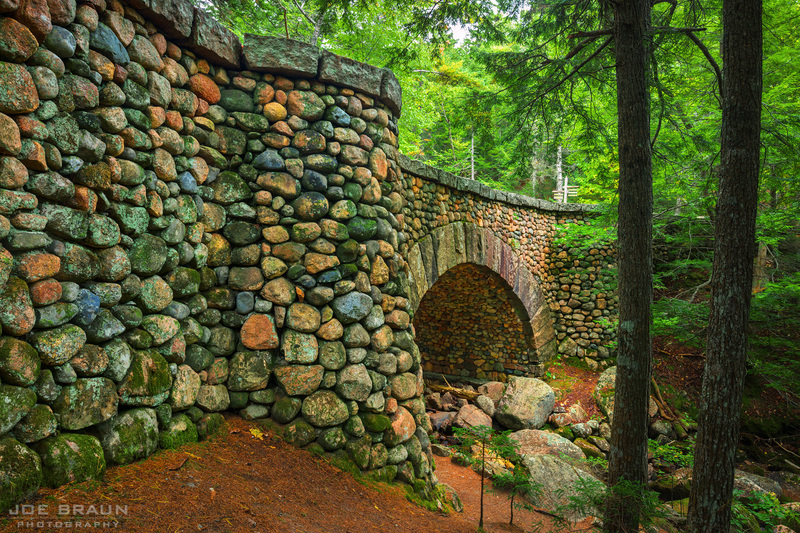 (Future bridges would be made with cut pieces of granite.) 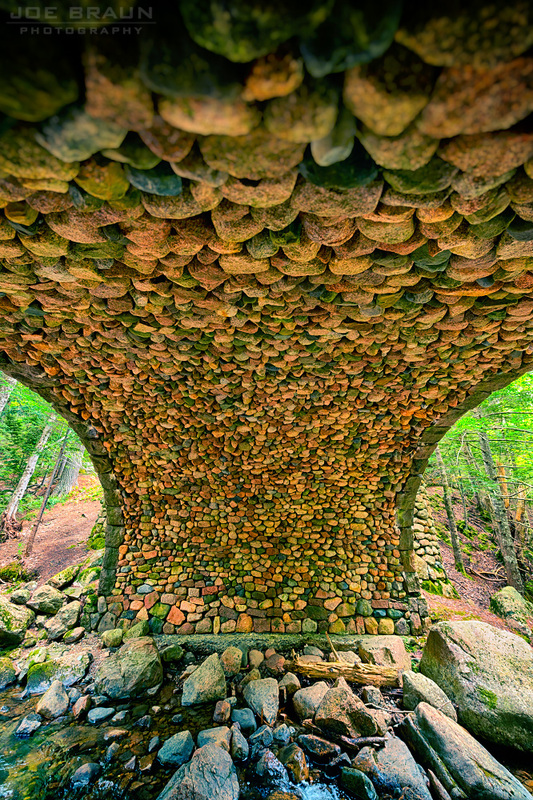 As such, Cobblestone Bridge is loved for its unique beauty and is a popular landmark for sightseers and photographers with the picturesque Jordan Stream bubbling underneath it. 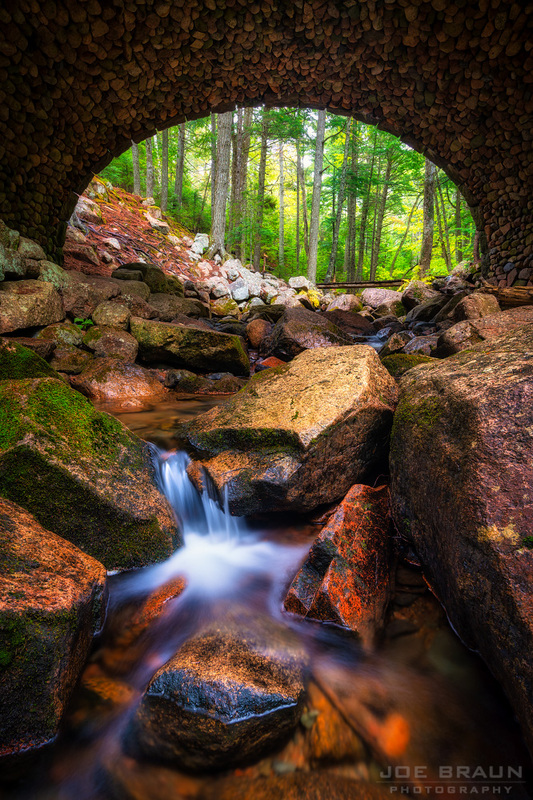 To visit the bridge, start at the popular Jordan Pond House at the south side of Jordan Pond and follow the carriage roads south from Junction 15 to 23 to 24. (This area of the park is a crazy maze of trails and carriage roads, so see map below.) 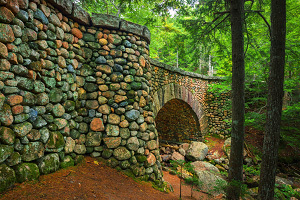 Note that Cobblestone Bridge is actually located just outside of the Acadia National Park boundary, so bicycles are not permitted along the lower stretch of the carriage road; please obey all posted signs. 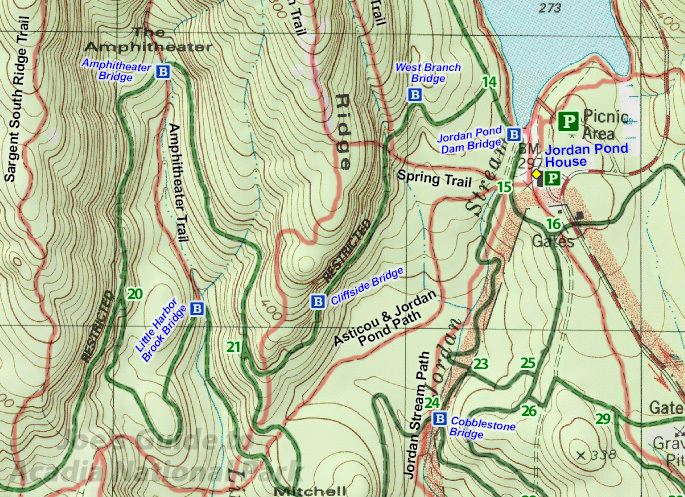 Alternatively, you can hike the Jordan Stream Path with follows the stream and parallels the carriage road all the way to Cobblestone Bridge. While the trail is slower hiking than the carriage road, the scenery along the way is quite lovely.